In 2011, I had the chance to travel to majestic Tibet, roof of the world, for two weeks. Here I would like to share some of the photos I captured during the trip. Potala Palace, the world’s highest and most magnificent palace is the most important symbol of Lhasa and Tibet. The palace is mainly composed of the Red Palace and the White palace, the highest in the middle of the Red Palace is an important place for religious ceremonies. The White House is mainly for the Dalai Lama’s daily and political activities. There are a number of annexes as well. 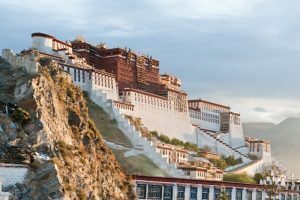 Visiting route to the Potala Palace is fixed so you can only go along the travel route guide. Mount Everest, is the world’s highest mountain. Its peak is 8,848 metres (29,029 ft) above sea level. Mount Everest is located in the Mahalangur mountain range in Nepal. The Everest’s summit point is part of the international border between China and Nepal. Rongbuk monastery, a Tibetan Nyingma monastery, located at elevation of about 5100 meters, is the world’s highest monastery. Rongbuk Monastery is near the north Mount Everest (the world’s highest mountain) base camp. View from here toward south, you can see Mount Everest like a huge pyramid, towering among the world’s highest peaks, magnificent. Rongbuk Monastery is only about 20 km from Mount Everest, since ancient times, the Tibetan people has regarded Mount Everest as the God. Visitors can stay overnight at the monastery. It is a wonderful place for photographer. The view is absolute breathtaking. You could take photos from dusk to dawn, including star-trail and Milkyway photo if you are lucky enough. 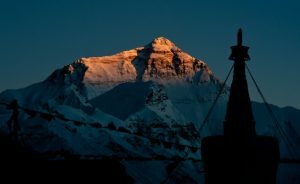 Mount Kailash is the main peak of the Gangdese Mountains in China, the second peak of the Gangdese Mountains in China. It is one of the most beautiful and top ten most famous mountains in China. It is 6656 meters above sea level and it lies near the Sutlej River, the Indus River, the Karnali River and the Brahmaputra River. 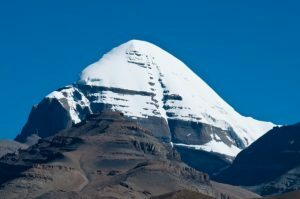 It is considered a sacred mountain in some of the oldest religions in Asia including Bon, Buddhism, Hinduism and Jainism. Average elevation of Tibetan Plateau exceeds 4,500 metres; it is sometimes called the Third Pole (the third pole besides North Pole and South Pole) . 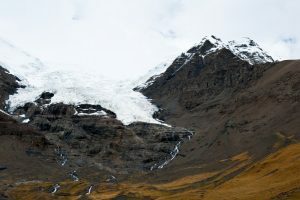 It is the world’s highest and largest plateau that contains the headwaters of most of the streams in surrounding regions. 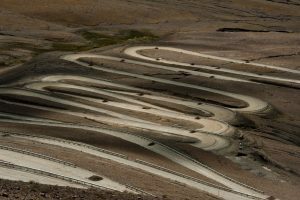 It has tens of thousands of glaciers and travelling across the plateau means you are likely to go through some of the most winding roads of the world as you can see from the photos below. Yamdrok Lake is called the most beautiful water in the world. The Tibetan means ‘green jade lake on the pasture’. Yamdrok is known as one of the sacred lakes. 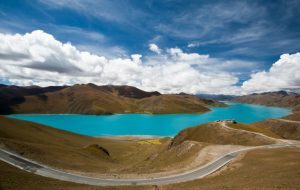 It is the nearest sacred Lake to Lhasa (only two to three hours drive) and is accessible all year around. The lake is partially freezes during winter. The source of its water comes from the surrounding snow-capped mountains and there is no outlet for the lake water. The water level is maintained by the vaporization. Next Next post: Where to get free pictures for blogs?